Andrew Briger was born in Berlin, Germany, on 29 September 1922, son of Vladimer de Briger and Zenaide, Countess Soumarokaff-Elston. On 22 September 1957 at Sydney he married dancer Elizabeth Ann Mackerras, daughter of Alan P Mackerras and his wife Catherine, née McLaurin, and sister of prominent Australians Charles, Alistair, Malcolm and Colin Mackerras. Andrew Briger had one son and three daughters. He died at his Rose Bay home on 31 May 2003, aged 88. A funeral ceremony was held at St James Church of England, Sydney. Andrew Briger was educated in London and Paris. He received his architectural qualifications at the London Polytechnic School of Architecture and the University of NSW. He arrived in Australia in 1955. From 1955 to 1958 he worked with Leighton Irwin and Company. He was an associate with McCauley Conran from 1959 to 1964 and principal of McCauley Conran and Briger from 1964 to 1985. In 1986 the firm changed its name to Architecture Oceania Pty Ltd and Briger later became chairman. He was appointed to the NSW Traffic Authority from 1977 to 1980. He was chairman of the City Planning Committee from 1977 to 1980 and a member of the NSW Department of Environment and Planning Urban Design Advisory Committee from 1986 to 1989. Briger was involved in Sydney’s strategic planning and has published widely on the subject. He received a Life Fellowship of the Royal Australian Institute of Architects in 1975 and was awarded the Sidney Luker Memorial Medal of the Royal Australian Planning Institute in 1981. He was a member of the Australian Club and lived at Rose Bay. Briger was a foundation member and president of the Order of Australia Association. He was chairman of the Australian Elizabethan Theatre Trust from 1982 to 1989, a member of the Sydney Youth Festival Committee from 1983, a member of the Board of the Australian Theatre for Young People from 1977, and a member of the SBS Board from 1989 to 1992. At his death, it was requested that donations be sent to the Peritoneal Dialysis Clinic at St Vincent’s Hospital. Briger was the recipient of the Order of Australia in 1977 for his services to the community as a Council Alderman. Andrew Briger was Alderman for Fitzroy Ward, 27 September 1969 to 20 September 1974 and for Gipps Ward, 21 September 1974 to 19 September 1980. 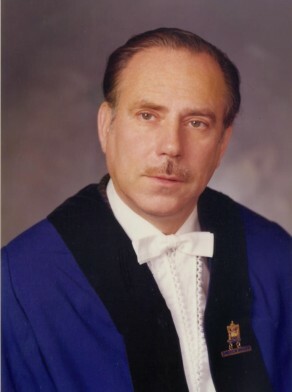 He was Deputy Lord Mayor in 1976, Chairman of the City Planning Committee, 1977-80, and Vice-Chairman of the City Development Committee in 1969-75. He was also a member of the Works Committee, 1969-75 and 1977-80, the Finance Committee, 1976, and the Community Services Committee, 1976. He was the Council member for the Traffic Authority of NSW, 1975, and delegate to the NSW Council on the Ageing, 1970. He was a member of the Civic Reform Association. Andrew Briger was an Alderman of Woollahra Municipality in 1991, serving as its mayor from 1993 to 1994. John Godl, ‘Russians in Exile’, History, June 1997, pp. 26-27.